The market is gaining fast-paced growth owing to the rising demand for sustainable packaging from food & beverage, cosmetic, pharmaceutical and other industries. Rising adoption of synthetic paper owing to eco-friendly alternative over conventional paper is generating robust demand from end-user industries. Also, synthetic paper posses’ excellent physical and chemical properties such as better durability, excellent printability, high strength, and chemically inert and resistant to oil, water and moisture are again expanding its application across various industries. Moreover, ongoing industrialization resulting in high demand for printing, labeling, and packaging is another factor propelling the market growth. The latest report by Value Market Research expects the Global Synthetic Paper Market to reach USD 601.4 million by 2025. It was valued USD 374.5 million in 2018. The report foresees a 7% CAGR from 2019 to 2025. By product, BOPP dominated the segment by accounting major market share in 2018. BOPP offers excellent clarity, stiffness, superior barrier characteristics that have generated huge demand in packaging. Growing demand from the food & beverage industry especially processed, frozen and ready to eat food products has again pushed the market growth uphill. Additionally, BOPP offers high stability over a wide range of temperature and environmental conditions has widened its application areas. In 2018, non-label emerged as the leading application segment. Rising usage of synthetic paper in maps, banner, charts, graphs and other graphics arts owing to its excellent durability is driving the segment growth. Substantial demand from a non-label application for printing pamphlets and banners for various promotional and marketing activities is again boosting the segment growth. Regionally, Asia Pacific dominated the regional market in 2018. Booming packaging industry on account of rising need of efficient packaging materials from food & beverage, chemical, a pharmaceutical sector especially in emerging economies such as China and India is driving the market growth. Rising adoption of eco-friendly packaging and labeling solutions is another factor pushing the market growth in Asia Pacific. Also, the growing middle-class population, rise in disposable income and a shift in consumption pattern towards processed and ready to eat food products is again pushing the regional market growth upwards. Some of the prominent players of the market are Agfa-Gevaert N.V., American Profol Inc., Arjobex Sas, Hop Industries Corporation, Nan Ya Plastics Corporation, Ppg Industries, Inc, Seiko Epson Corporation and Yupo Corporation. 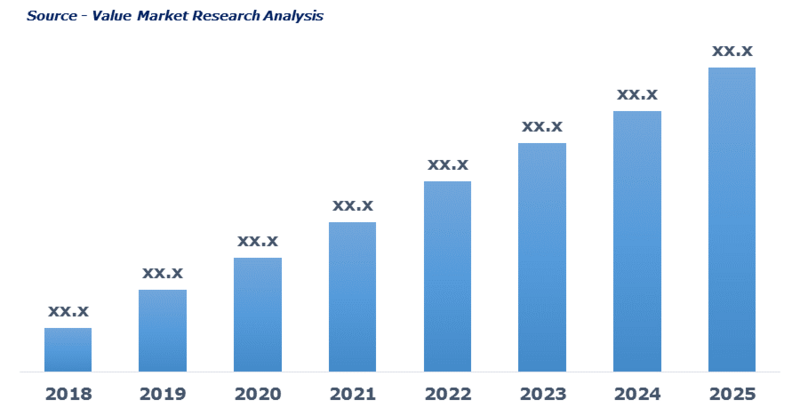 As per this study the Global Synthetic Paper Market was valued USD 374.5 MN (by revenue) in 2018 and is anticipated to reach USD 601.4 MN by 2025 with a CAGR of 7%. Synthetic paper is a white colored, opaque resin-based paper that posse’s properties of both paper and films. Synthetic paper is an ecofriendly alternative to regular paper as it is produced from synthetic resin. It posses excellent properties such as grease resistant, tear-resistant, waterproof and durability hence is used across pharmaceutical, chemical, cosmetic and food and beverage sector for printing, packaging and labeling.